There is a new way to discover the wines of Paso Robles especially if you are a wine enthusiast, who enjoys the smaller boutique wineries. It is Downtown Paso Robles Wineries. A group of 20 wineries have come together to promote themselves as the town’s premier wineries in the civic center. Those visiting Paso Robles can spend a day walking from one winery to another. No need to worry about a designated driver especially if you stay at one of the hotels located in the downtown district. Two such hotels are the Paso Robles Inn and the Hotel Cheval. Each of these downtown wineries has their own unique experience. 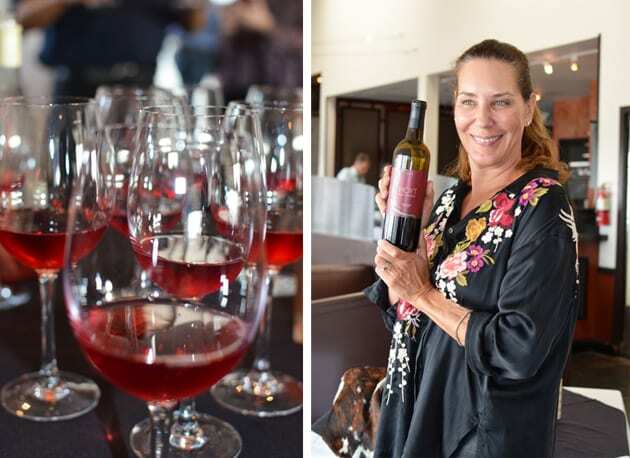 Recently, at an LA Wine Writers Luncheon at Café Del Rey, I sampled wines from 10 of the Paso Robles Downtown Wineries. 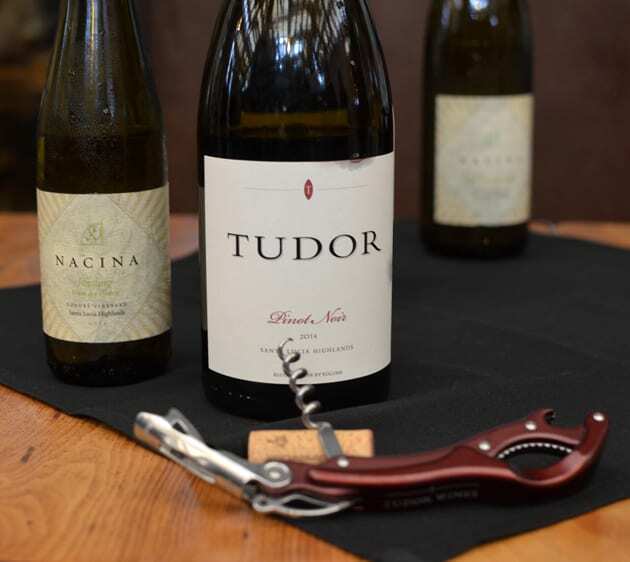 Here are some of the wines that appealed to me at our luncheon. 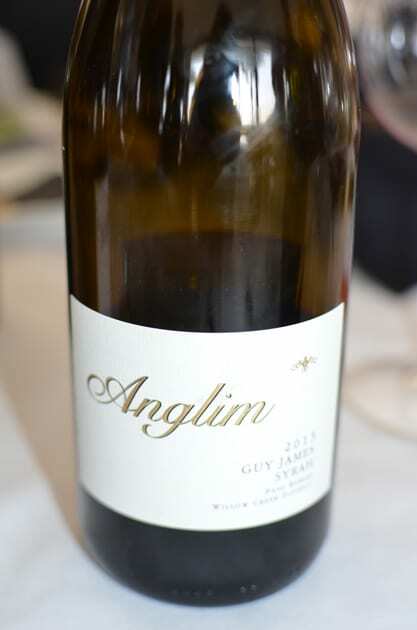 Our tasting was not the first time I got to sample the wines of Anglim. My first was at the Garagiste Festival Urban Exposure. Anglim is located in the Historic Train Depot. They specialize in Rhone varieties and blends. The 2013 Guy James Syrah Willow Creek District was fantastic. I loved how this Syrah was not overpowering. The subtleties of the wine bring out the character of this nicely balanced wine with mild hints of spices. Also located in the historic train depot the tasting room is like a museum to music and is a music venue or a Jazz club on the weekend. On the weekends you will find the top groups from the area jamming away. The 2012 D’Anbino Cellars Cabernet Sauvignon Pine Hawk Vineyards is well balanced and very drinkable. I found a lighter yet brighter Cabernet that goes well with or without food. This winery is a one-woman show, utilizing a very green philosophy. 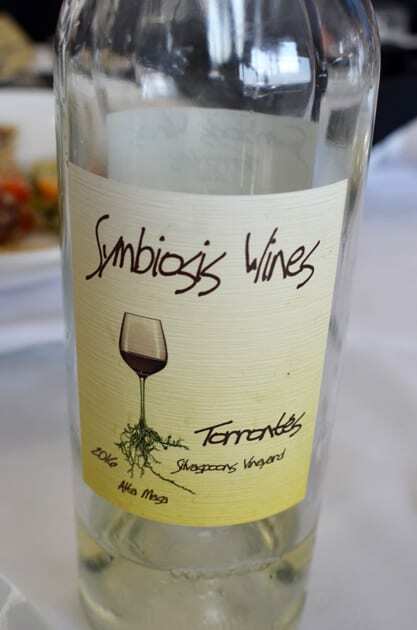 We sampled two wines from Symbiosis a Torrontes and a Tempranillo. The 2016 Torrontes displays creamy textures, which are unusual for this variety compared to those from Argentina. On the nose, the wine is sweet and savory, while the palates freshness imbues flavors of stone fruit. 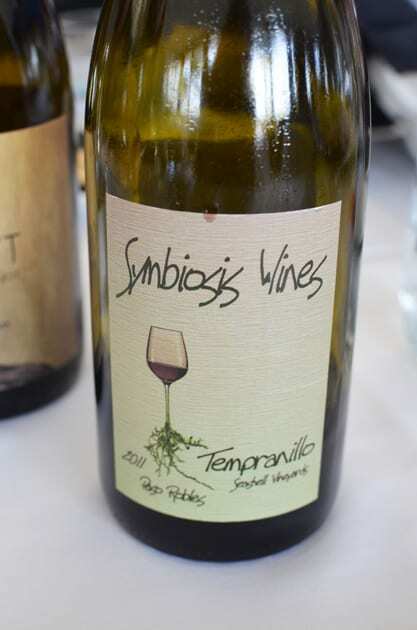 In the Symbiosis 2008 Tempranillo, I found lighter bodied yet very expressive with savory flavors and hints of spice. 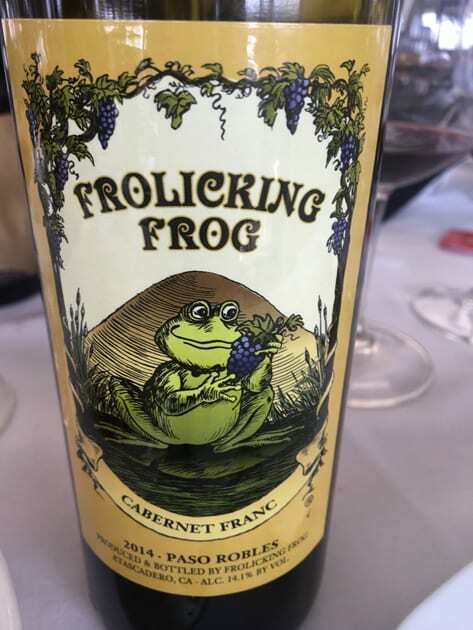 Frolicking Frog is located in Siegel’s Jewelry Store so while you are sipping wine, you can also find the perfect bauble. Winemaker Stu Goldman is also a goldsmith. Of the two wines sample, my favorite was the 2014 Cabernet Franc with its notes of floral. The wine ages 48 months in American oak. 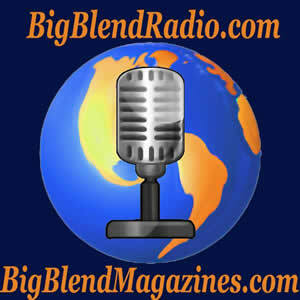 Owner, Carol Hoyt was an actress, who likes to cook and what better way to cook than with wine. Wanting to move away from Hollywood one of the prerequisites was to find a home where they could also harvest grapes. The family started their winery in Malibu, where they grow their Chardonnay and expanded to Paso Robles. I would consider their 2015 Chardonnay a cross between a Burgundian and a California styled wine. 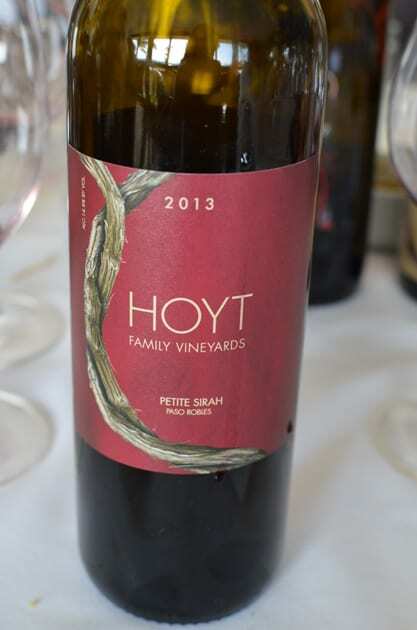 Hoyt’s 2013 Petite Sirah is a beautiful representation of this variety. The wine is smoothly balanced with plum flavors. 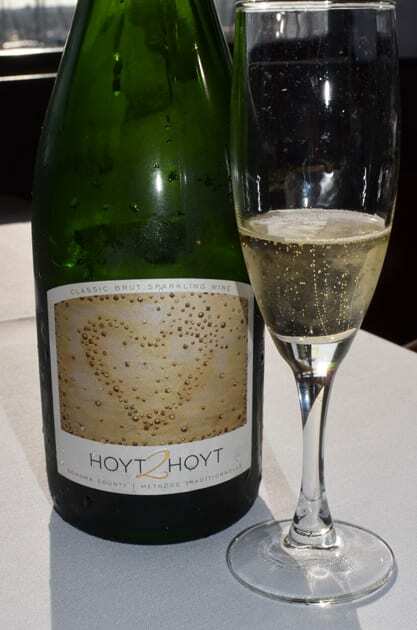 Hoyt also produces a sparkling wine called Hoyt 2 Hoyt. Created in the Methode Champignon, the grapes are sourced from Sonoma County. Bushong is the latest winery to open in downtown Paso Robles. When they say vintage, it also reflects on the fact that they have an original Star Wars pinball machine. The Bushong 2016 Rosé blends Grenache and Tempranillo into an exceptionally refreshing wine. The Grenache imparts flavors of Strawberries, while the Tempranillo delivers subtle tartness to the wine. Think Strawberries meet cranberries. In the past, I have sampled wines for several of the other downtown wine tasting rooms. I met owner/winemaker Dan Tudor on my first media trip to Monterey County and had enjoyed his wines ever since. Dan specializes in Chardonnay and Pinot Noir from the Santa Lucia Highlands. Dan also produces Ice Wine, which if you have never tasted you must because Tudor’s Ice Wines are probably some of the best created in California. While dining in Paso Robles one year, I sat next to winemaker, Dorothy Schuler of Bodegas Paso Robles. She insisted we try her Albarino, which at the time was excellent. On another occasion, I got to sample some of her other red blends. Dorothy specializes in creating wines from Spanish and Portuguese varieties. I love her label, a colorful abstract rendition. Think Gaudi meets Picasso. I have also sampled LXV and Diablo Paso at the Garagiste Festivals. Other Downtown Paso Robles Wineries are Derby, which is located in the Historic Almond Growers Building, Arroyo Robles Winery, Ascuncion Ridge, Calipaso, Chateau Lettau, Domaine Degher, Gary Kramer Guitar Cellars, Grizzly Republic Wines, Parrish Family Vineyards, Pianetta Winery, Sea Shell Vineyards and Cellars, The Rabbit Hole. On your next trip to Paso Robles, make sure you experience the Downtown Wineries. The day will be leisure and relaxing as you walk and stroll through Paso Robles, especially when you do not have to worry about driving a distance between one winery and another.